PENTICTON, B.C. 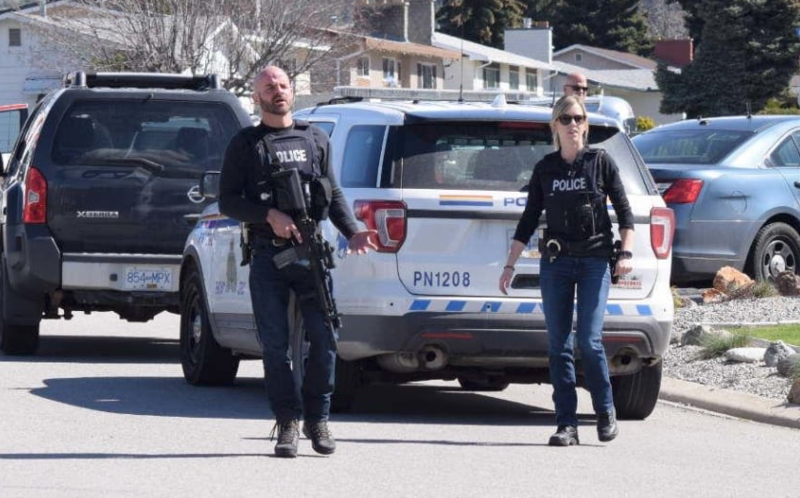 — The RCMP say four people were found dead Monday in three locations after targeted shootings within a five-kilometre radius in Penticton, B.C. Supt. Ted De Jager said a man turned himself in at the city’s police headquarters and officers were searching his car. De Jager said the Mounties received a call about a possible shooting in the downtown at about 10:30 a.m. and the suspect was taken into custody about an hour later. Earlier, police cordoned off the city’s downtown and were telling people to avoid the area because of a serious, unfolding situation. They asked the public to follow the direction of police and to avoid specific areas but later lifted those restrictions. “I understand that this is a deeply troubling incident that has taken place in our community,” De Jager said, adding that more than 30 officers were involved in the response to the shootings. Police identified one victim as a man, but have not released any details about the other three victims. “It was kind of scary,” she said.